Hello all and Happy Holidays! Back in November I shared a couple of cards inspired by the Art Deco style. I received a lot of positive feedback about them and a couple people asked me to do a video. So I’d like to share a video tutorial showing one of these projects in this blog post. All of the cards are rather easy to make, I picked the one that has a technique to offer for today’s blog post and video. And you can see the 3 original cards over here. The idea is simple – you take a die (a background die in my case – Shutter Cover from Altenew) and cut it twice, once out of black cardstock and again out of gold. You than take the black die cut, remove the negative pieces and replace them with the negative pieces from the gold die cut. This takes some time, but it always ends up looking very beautiful. 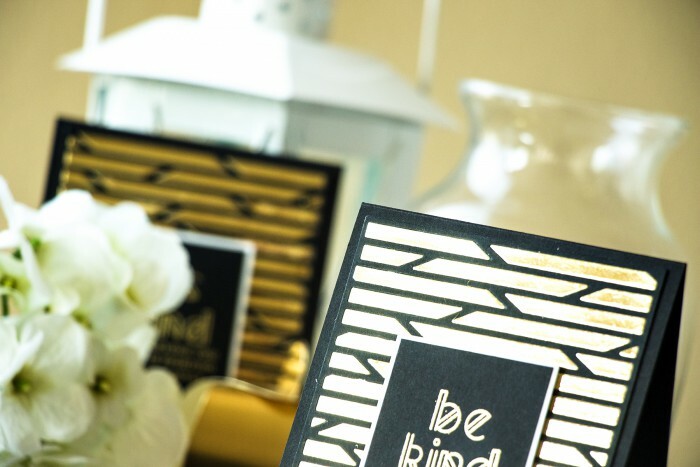 But what truly makes this card resemble the Art Deco style is the sentiment, the Be Kind part. It was stamped using the Modern Deco Alpha stamp set from Altenew. Its one of those unique sets that is a must have. 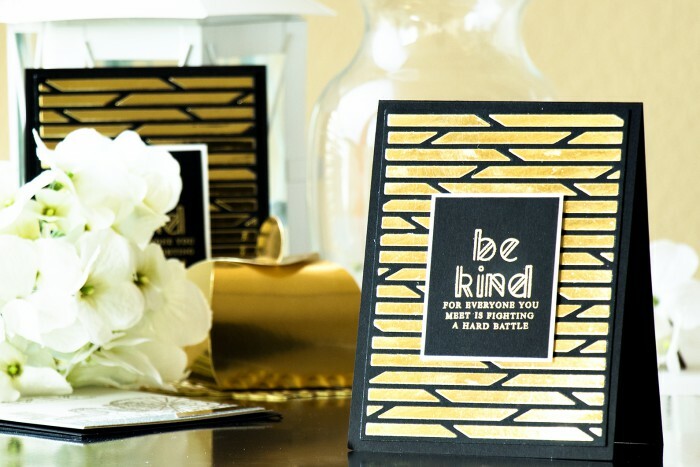 All of the cards shared here have sentiments stamped using Modern Deco Alpha. Like I said a made a video tutorial to show you how to make this card. You can watch it at the top of this post or on my Youtube channel. If you like it, I would appreciate you giving it a thumbs up and sharing. Thank you! thank you so much,Teresa! Happy Holidays to you too! Have to say it one more time – fantastic!